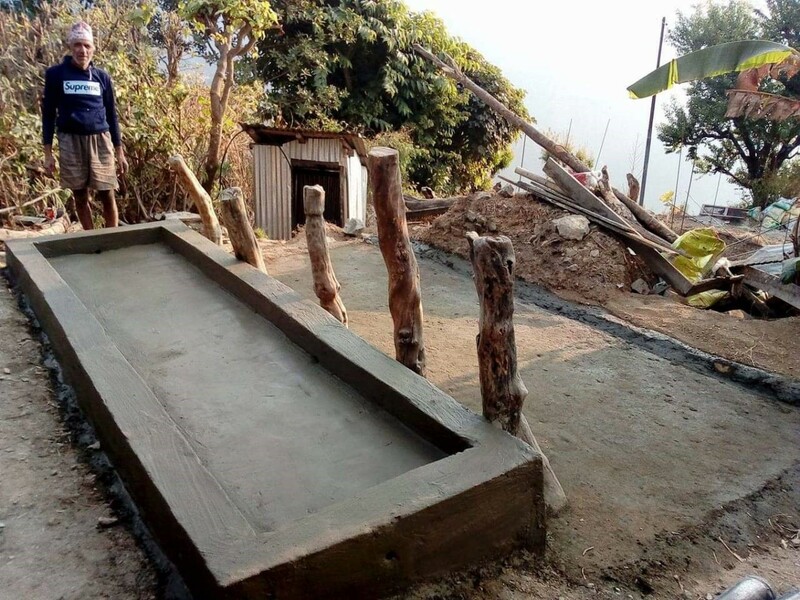 Following the 2015 Gorkha earthquake, Nepal adopted a ‘whole of the society’ approach to include all stakeholders for recovery and reconstruction activities. Invoking the Sendai Framework for Disaster Risk Reduction (2015-2030), notable among several global commitments, the National Reconstruction Authority (NRA) introduced ‘Procedure Relating to Mobilization of Non-Governmental Organizations for Reconstruction and Rehabilitation, 2016’  to mobilize I/NGOs’ assistance in reconstruction and rehabilitation of damaged structures caused by the 2015 earthquake. While the guideline distinctly states ‘any national/international non-governmental organization or other providers or a group of one or more of such organizations’ as ‘partner organization’, it does not articulate the basis on which partnerships are formed between different donor and implementing organizations and I/NGOs and formal/informal beneficiary groups at the local level. 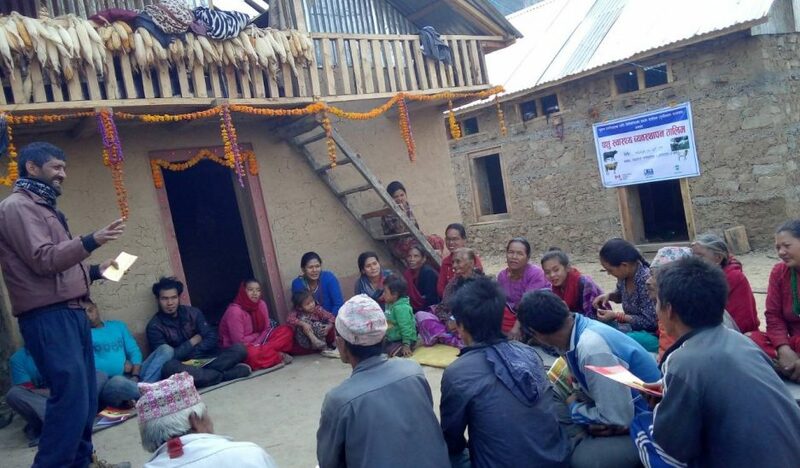 The study conducted by Social Science Baha in three (at that time) village development committees (VDCs)—Fujel in Gorkha, Thulosirubari in Sindhupalchowk and Gimdi in southern Lalitpur—looked into the humanitarian responses and working strategies of several government and non-government humanitarian organizations and institutions as well as the impacts of the same on enhancing future preparedness and community resilience. 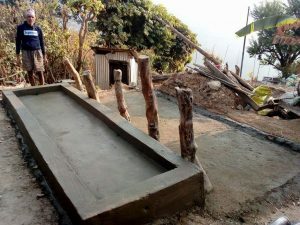 We focused on the issue of partnerships between partner I/NGOs and local level organizations and beneficiary groups by bringing in evidence from one of our study sites in Gimdi VDC in southern Lalitpur where the former exercise control over the latter leading to compromises in effectiveness of programs. Our findings suggest that INGOs tend to congregate around ‘severely affected’ sites while overlooking areas that do not fall into this category but have suffered similar or equally grave tragedies. This led to humanitarian responses that were redundant in some places and scarce in others. 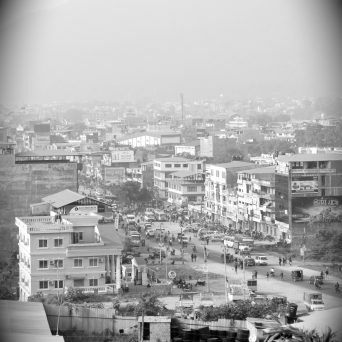 This was typically the case of Gimdi VDC in the southern part of Lalitpur district which, lying outside the Kathmandu Valley rim, is often highly neglected precisely because it is so close to the capital and is part of a district that makes up the extended capital region of Nepal. As such, they have limited access to basic public services including electricity, roads, health services, and transportation and hence, locals here, invariably, described their place to be ‘batti muniko adhyaro’ [darkness underneath the lamp]. One of the most serious factors hindering humanitarian agencies from providing relief support to affected victims was the absence of road infrastructure and phone network in the area. Tamangs (a marginalized ethnic group) living in two of the most remote wards at the margin in the upper belt in Gimdi VDC generally lacked social capital to access relief as easily as those living in bazaar areas. They were required to travel down to ward five to collect relief which would take an entire day and, on several occasions, they would be told to come another day citing ‘not enough relief left to distribute’. 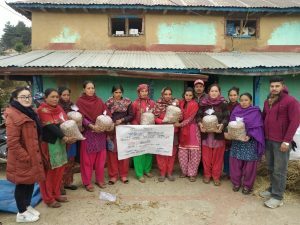 Many organizations came and provided us with relief but failed to realize that we are primarily dependent on animal rearing. We need to revive our sources of livelihood as we cannot farm in this mountainous place due to lack of cultivable land. I don’t expect much but if they were to buy me a small buffalo then I could do something out of it. 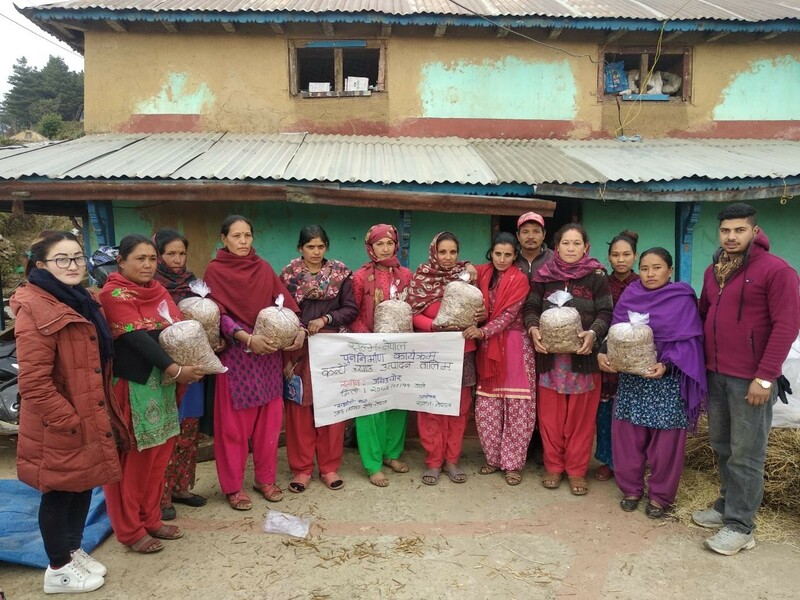 An INGO named [X] has funded livelihood support programs through their implementing partner, an NGO called [Y]. They asked us to gather beneficiaries who were poor, marginalized, and single women as they were their target groups. The staff people of [Y] came and selected the beneficiaries by pointing and calling out ‘this person and that person’. They did not let us make decisions. Going back to the definition of ‘partner organizations’, the state’s efforts in streamlining the support of I/NGOs or its ‘partner organization’ is noteworthy; however, their failure to articulate the partnerships and its implications at local level is not. There is plenty of evidence that shows that unequal relationships exist between donor I/NGOs and formal/informal beneficiary groups, one that is based on the faulty premise that whereas the I/NGO’s role is ‘help giver’, beneficiaries are to passively act as ‘help receivers’. Unfortunately, while the government seemed extremely interested to govern, guide, and monitor I/NGO activities in the post-earthquake phases, evidence clearly suggests that these efforts were not effective enough to hold I/NGOs accountable for their responses. As such, people’s perceptions regarding programs related to livelihood were often expressed graphically as amounting to little more than ‘show and tell’. 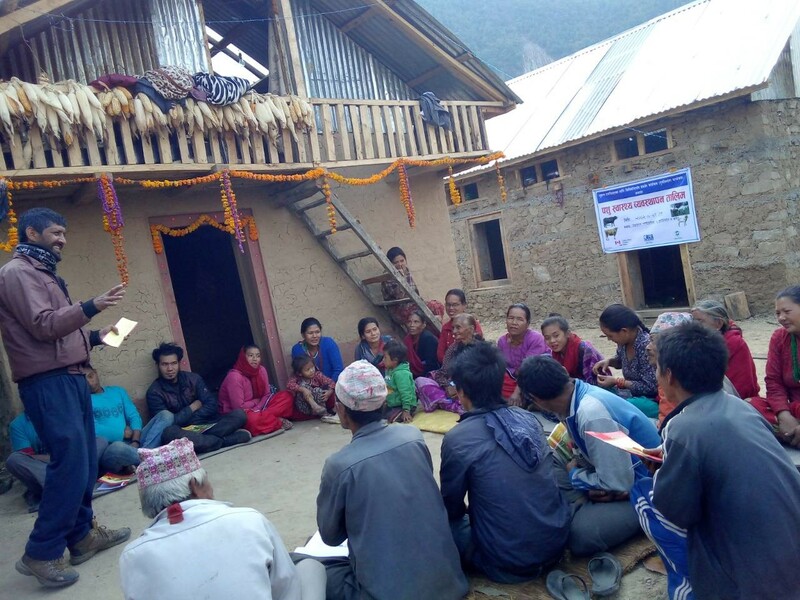 In Nepal, we argue, it is necessary to change the basis on which flawed and unequal partnerships get formed between partner organizations and local level organizations/groups. Second, the latter should be given equal power in decision making, priority setting, designing, implementing, monitoring, and evaluating programs and plans. Lessons, therefore, can be learned from both good and bad experiences, in order to be able to make a difference in the lives of many affected, in future as well as in this disaster, to collaborate to work towards the shared goals of preparedness and build back better. 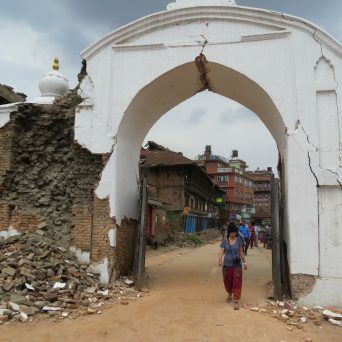 This blog is drawn from the paper we presented at the conference ’Epicenter to Aftermath: Political, social and cultural impacts of earthquakes in South Asia’, SOAS South Asia Institute, London 11-12 January 2019. 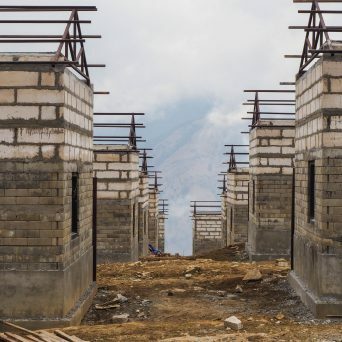 The Guideline was introduced pursuant to Section 31 of ‘Act Relating to Reconstruction of the Earthquake Affected Structures, 2015’ to serve and mobilize I/NGOs’ assistance in reconstruction and rehabilitation of damaged structures by the 2015 earthquake in an integrated, collaborative, and justifiable manner.